This episode is all about the Divine Feminine. 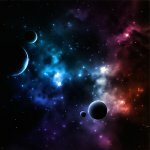 As Ramdesh points out, every day is really mother’s day, because the world is constantly giving birth to itself, and something new is always being created: “It is a magnificent thing to be able to tap into that divine energy!” The mantras shared on this show celebrate and help us connect with the great Divine Mother that permeates and uplifts the universe. First up is a mantra that is a pauri from Japji, the sacred prayer of the Sikhs written by Guru Nanak, who was an amazing, enlightened being. He broke down barriers and believed in equality, and was an early proponent of the elevation of women in a time when it was not culturally typical. The pauri, referred to as Eka Maee or Aadays Tisay Aadays, talks about the Divine Mother. Eka Maee refers to the One Divine Mother that conceived and gave birth to all of creation. This pauri helps to develop saintly wisdom and according to Yogi Bhajan is one of the mantras that is particularly empowering for women to recite every day because it connects to the divine feminine. It’s important to note, Ramdesh points out, that the divine feminine is not the exclusive jurisdiction of women; we all have within us masculine and feminine qualities. The divine masculine and the divine feminine, the yin and the yang, are in each of us and this mantra is for everyone, though it invokes the Divine Mother in the first line. Mantra is all about love for all! 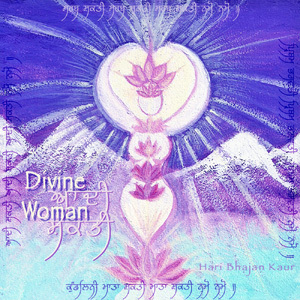 Listen first to the powerful mantra “Eka Maee” by Hari Bhajan Kaur from Divine Woman followed by a rockin’ version by Simrit Kaur from The Oracle Sessions. You’ll also hear an empowering track by Sat Purkh Kaur Khalsa from The Pearl: Maiden, Mother, Crone. Ramdesh next shares the divine feminine mantra, Adi Shakti. 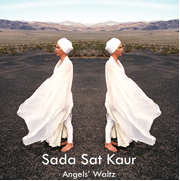 Sada Sat Kaur’s version from Angels’ Waltz will deliver some primal life force for sure! Then you’ll hear Bhand Jammee-ai, another powerful mantra that invokes divine feminine power. Chant along and help to repair the collective consciousness of the world, Ramdesh suggests. There are women all over the world who are subjugated and downtrodden; their identity as graceful, worthy, and strong has been stripped from them. Just as we are honoring our mothers, the Divine Mother, and the feminine within us, says Ramdesh, so too is it a time for us to step up and honor the divine feminine all across the planet. 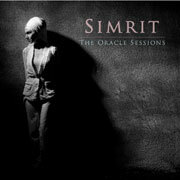 You’ll hear a new version of “Bhand Jammee-ai” by Sat Purkh from The Pearl. 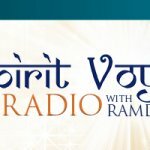 You can also check back to Ramdesh’s earlier podcasts for a show on Bhand Jammee-ai as well as on the Adi Shakti mantra. Says Ramdesh, “There are so many enlivening and empowering and strengthening mantras to elevate and uplift each and every one of us!” So seek them out, and check the Spirit Voyage mantrapedia section for more details. Celebrate Mother’s Day–and every day–with these empowering mantras honoring the sacred Divine Feminine energy!